Ideal gathering area for impromptu team meetings and sharing of ideas. Our collaborative standing height table is as highly functional as it is attractive. Provides clear and unobstructed leg room, abundant workspace and technology-friendly design without sacrificing clean and fresh design. Table stands 42" tall � the perfect height for gathering, or, pairs perfectly with our Modern Classic Office Stools. Use in conference rooms, classrooms, open offices, breakrooms and training rooms. 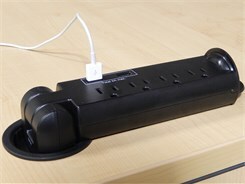 Table also makes a convenient charging station when used with our optional Pop Up Power Strip w/USB . IN STOCK! * Sturdy and solid! Top and side panels are 1-3/8" thick slabs. 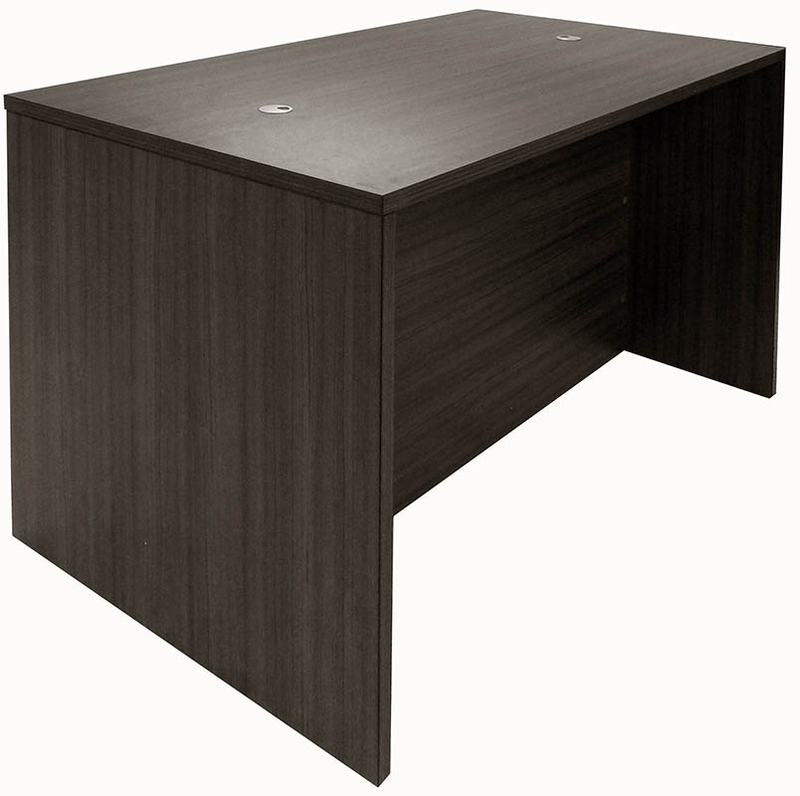 * One piece 71"L x 41-1/4" rectangular table top with two built-in silver grommets. 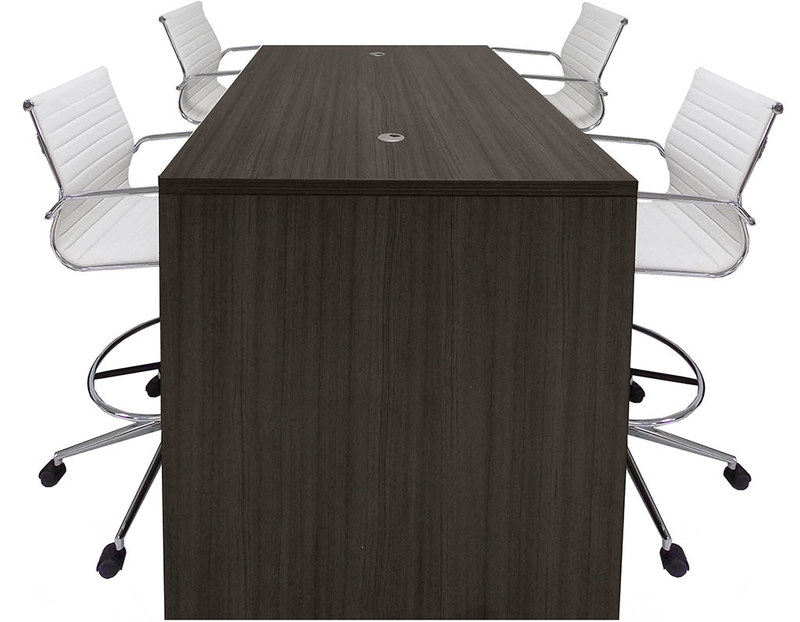 * Flush end panels so can be combined together for larger meetings. * No intrusive table legs in your way! 'Workbench' table design allows people to comfortably gather around table. A roomy 18-1/8" worth of leg space depth on both sides of table. 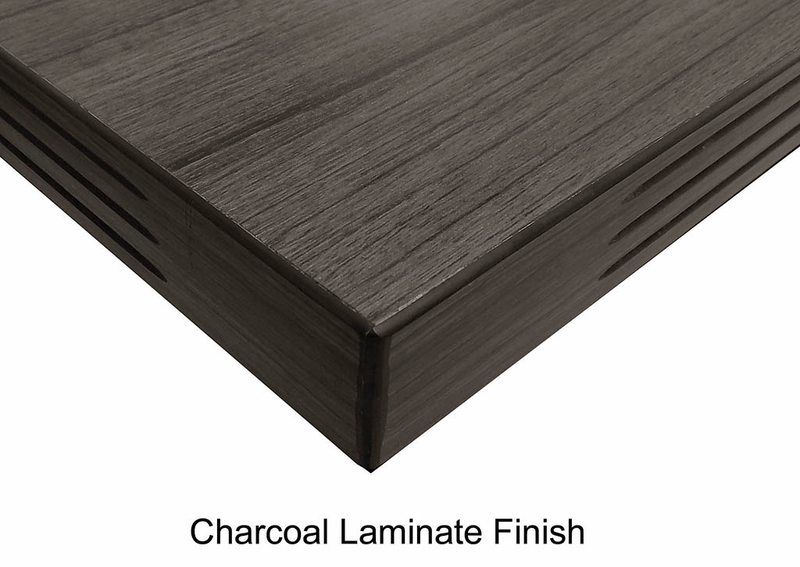 * Trendy Charcoal laminate is durable, scratch-resistant and easy to clean. 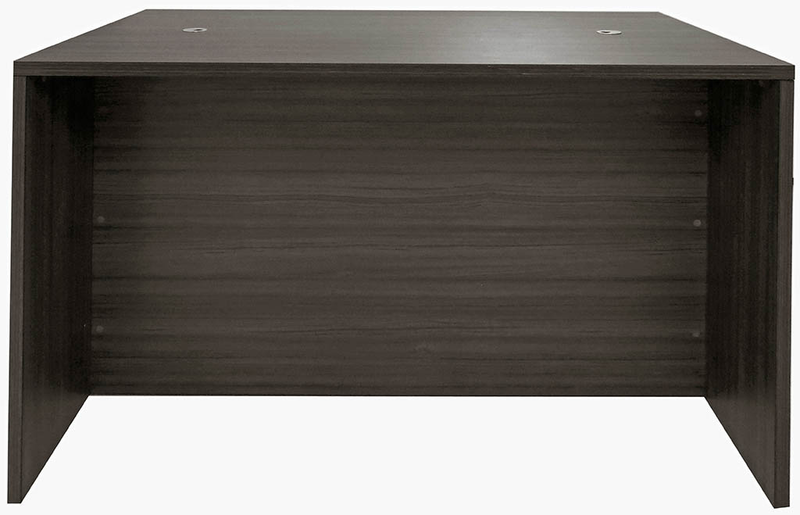 Table top edge features a fluted t-mold edge band. * Two, full-length support panels run parallel between the side panels to provide rigid support and a 4" channel for concealing cords and cables. 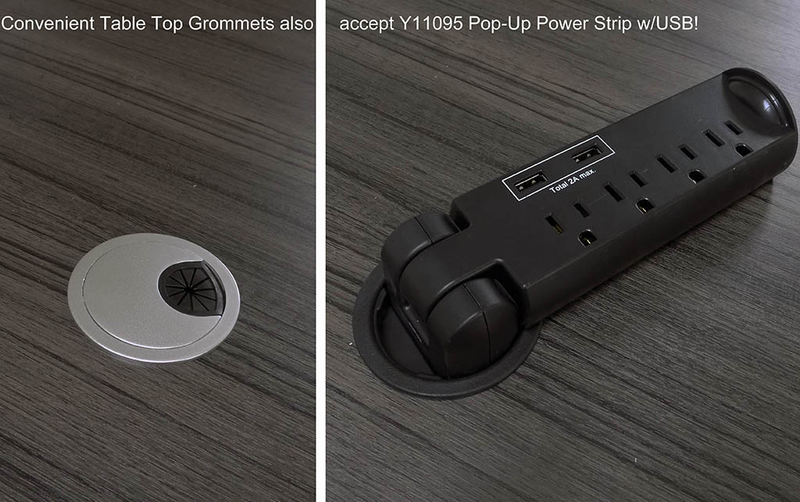 * Optional power strips add electrical outlets and USB port to your table! 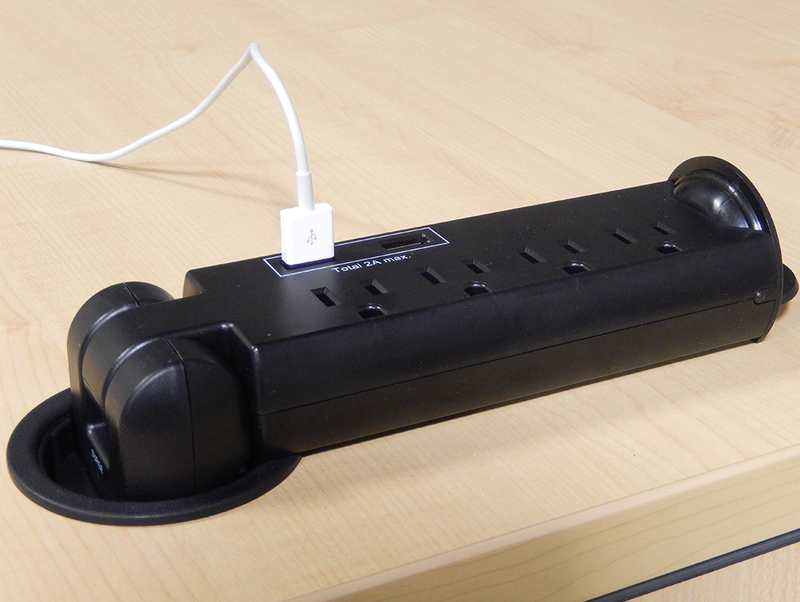 See our Pop Up Power Strip w/USB sold separately below. 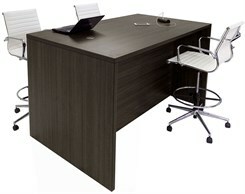 * Choose from a large selection of matching Charcoal laminate office pieces! 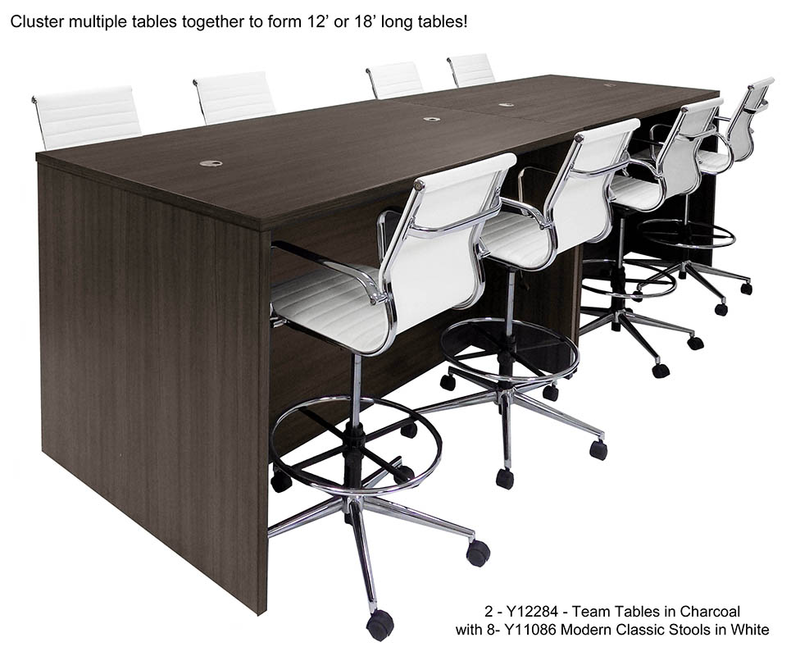 Team Collaborative Standing Height Meeting Table measures 71"L x 41-1/4"W x 42"H overall. 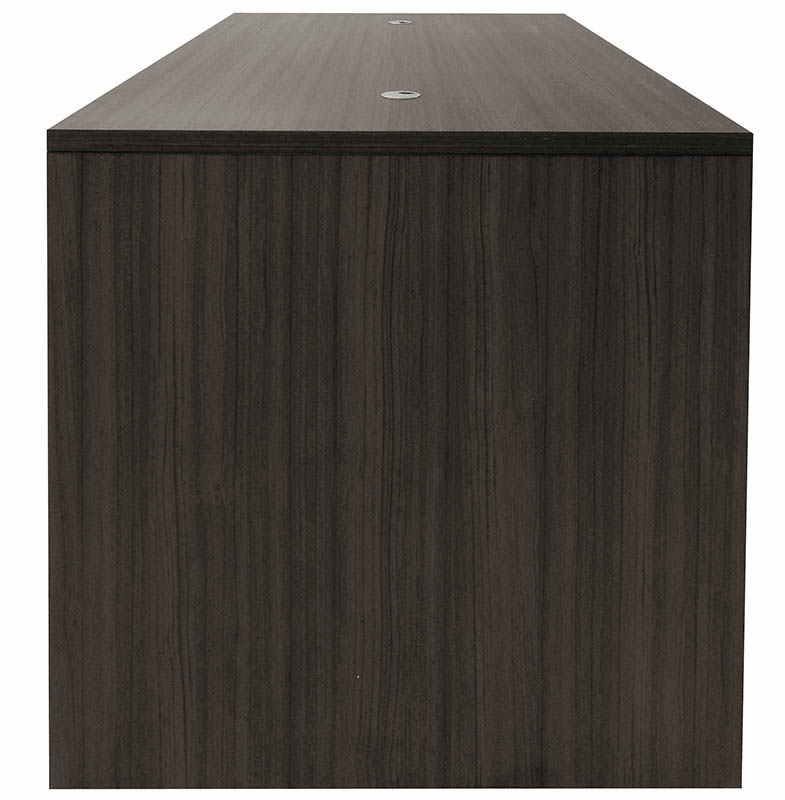 Accommodates 4 stools or 6 people standing. Ships unassembled. Shpg. wt. 252lbs. PRICE INCLUDES SHIPPING! (Truck shipment - See Terms & Conditions).